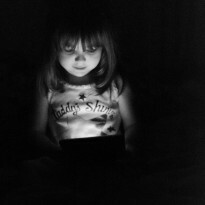 Who will she become when she comes face to face with her fathers legacy? I've always been curious about the daughters of powerful men. Are they so sheltered from the general population that they don't know what their fathers are? Do they, after they witness their fathers power, just go along because their have no other choice? Or do they not see anything wrong because this is all they've known in life? I'm curious about the daughters and not the sons for a few reasons. Generally, it seems that the sons have a little more freedom and may follow in their fathers footsteps...military, politics, etc. Whereas daughters may not enjoy the freedom that their brothers do. Or thats what I've seen in the little research I've done. 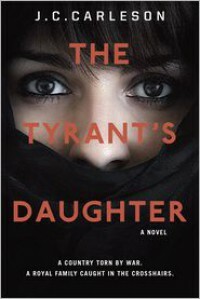 The Tyrants Daughter gave me a little glimpse into what a powerful mans daughter may be like, especially a daughter in a country where females have litle to no power or freedom. Lailas father, the dictator of a middle eastern country, was assinated and the CIA whisked Laila, her mother and her little brother to safety in the US. Once here this princess in exile has to assimilate to Americas culture, fast pace and the fact that she has gone from living in a royal palace to living in a run down apartment in which she has to share a room with her brother. Her mother is meeting with various people, making unsual calls, and hiding things from Laila. Oh yes, and her father was murdered. Laila first hears the word "dictator" in reference to her father when she starts school. Laila vehementatly denies that that her father was a dictator but doubt seeps in. Originally I thought that Laila was a little naive. 16 and she doesn't know who her father is outside of being her father. According to Stalins daughter, Svetlana, at 16 she fell in love with a Jewish man much older then her and her father was completely against. The man was eventually sent to a labor camp for 10 years. Stalins daughter wasn't completely clueless about her father. But the difference between Svetlanna and Laila is how and where they were raised. Laila lived a very luxiourous but sheltered life. She didn't have access to information nor did she socialize with people outside of her social status. The people who her fathers regime affected most were an enigma to Laila. I had no expectations going into this book so I was pleasantly surprised by how much I enjoyed it. I loved how the flashbacks into Lailas past as a middle eastern princess were relevant, fascinating, and flawlessly incorporated. I loved the intrigue and drama. This story isn't without its faults but I enjoyed it nonetheless. I received a digital ARC from Random House Childrens, thru Netgalley, in exchange for an honest review. All opinions are my own.